As to Luther, the largest part of this evil [i.e., the Roman uproar about his teaching] must be laid at the door of those who have preached and written about indulgences and the power of the Roman Pontiff things which no educated and religious ear could bear, so that as far as the beginning of this disturbance is concerned Luther may fairly seem to have been influenced by devotion and zeal in the cause of the Christian Religion. Moreover, those who do not excuse his beginning afterwards to write more bitterly, yet make allowance for it, saying that he was not altogether without reason angered by the exceedingly bitter hectoring and taunts of certain persons. Without having yet read his books, they raised among the people the cry of “Heretic, Antichrist, Schismatic,” before the Pope had made any public interposition of his authority in the matter at all. Nobody admonished or confuted him, though he declared himself, as he even now declares himself, ready for discussion with any one—they only damned him. 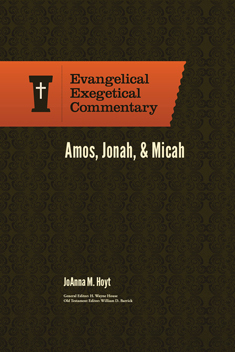 JoAnna M. Hoyt’s contribution to the EEC is a brilliantly helpful exegetical volume. Three of Ancient Israel’s most important texts are here carefully analyzed and explicated. As is the case with other volumes in the series, Hoyt provides a clear introduction to each book; a helpful outline; important textual notes; up to date bibliographies; and most importantly of all, cogent and useful comments on each pericope. The volume also includes maps and charts and all manner of pedagogical materials. These days the word ‘Evangelical’ is taking a genuine beating and to be honest in many respects it has become quite empty of meaning. In this volume, however, ‘Evangelical’ retrieves its authentic meaning and readers are genuinely provided ‘Evangelische’ Theology. This second section of rhetorical questions transitions between the first (vv. 3–5) and the third (vv. 10–16) set of questions. The first focuses on Yahweh’s faithfulness while the third focuses on Israel’s unfaithfulness. In this section Israel’s covenant ignorance is exposed, highlighting the underlying reason for their unfaithfulness despite Yahweh’s faithfulness. The rhetorical questions (vv. 6–7), either voiced by the Israelites or spoken by Micah as an example of their ignorance, showcase their lack of even the most basic understanding of sacrifices and offerings as well as the purpose of such. Yahweh then offers correction. He does not detail sacrifices and offerings that they should offer; rather, he explains that he desires justice, mercy, and that they attentively follow him. While sacrifices and offerings are prescribed in the covenant, they are not the heart of the covenant. Hoyt’s renderings are both vivid and accurate. Readers of this volume will not be disappointed. And, furthermore, they will be instructed and edified. This work does what a commentary is supposed to do and no higher praise can be paid it. How Evil Do You Have to Be To Beat a Man With a Brick? You have to be as evil as this ‘woman‘. “I can’t walk anymore,” Rodriguez said in Spanish. “I’m in so much pain.” He’ll be turning 92 in September, Rodriguez said, and he’s never been hurt like this before, in a life working the fields with cattle and corn. He had traveled from Michoacan, Mexico, to visit his family in Willowbrook, California, a city in Los Angeles County, his grandson Erik Mendoza said. Police are looking for “a female suspect and three to four male suspects” in the assault, the LA County Sheriff’s Department said in a statement Monday night. Authorities don’t know at this time if any weapons were used or what the motive might have been, the statement said. I hope they find her. I hope they put her on trial. I hope they convict her. And I hope she spends the rest of her life in a prison with Hispanic women. Disaster, sinful nation, people weighed down with guilt, race of wrong-doers, perverted children! They have abandoned Yahweh, despised the Holy One of Israel, they have turned away from him. Where shall I strike you next, if you persist in treason? The whole head is sick, the whole heart is diseased, from the sole of the foot to the head there is nothing healthy: only wounds, bruises and open sores not dressed, not bandaged, not soothed with ointment, your country a desolation, your towns burnt down, your soil, foreigners lay it waste before your eyes, a desolation like devastation by foreigners. The daughter of Zion is left like a shanty in a vineyard, like a shed in a cucumber field, like a city besieged. Had Yahweh Sabaoth not left us a few survivors, we should be like Sodom, we should be the same as Gomorrah. Hear what Yahweh says, you rulers of Sodom; listen to what our God teaches, you people of Gomorrah. ‘What are your endless sacrifices to me?’ says Yahweh. ‘I am sick of burnt offerings of rams and the fat of calves. I take no pleasure in the blood of bulls and lambs and goats. When you come and present yourselves before me, who has asked you to trample through my courts? Bring no more futile cereal offerings, the smoke from them fills me with disgust. New Moons, Sabbaths, assemblies — I cannot endure solemnity combined with guilt. Your New Moons and your meetings I utterly detest; to me they are a burden I am tired of bearing. When you stretch out your hands I turn my eyes away. You may multiply your prayers, I shall not be listening. Your hands are covered in blood, wash, make yourselves clean. Take your wrong-doing out of my sight. Cease doing evil. Learn to do good, search for justice, discipline the violent, be just to the orphan, plead for the widow. What’s happening in Minnesota and around the country to Lutherans and others today is what is happening to SBC churches tomorrow. Most Americans still report that they are Christian, but the worshipers in the pews on Sunday increasingly have gray or white hair. The median age is older than 50 for nearly all mainline Protestant denominations, according to the Pew Research Center, a national polling and research group in Washington, D.C. For Catholics, it’s age 49. A record one in five Americans now report no religious affiliation, according to Pew. But membership doesn’t always translate into people abandoning Sunday morning coffee to attend worship. Catholic and Lutheran surveys indicate about one in four church members actually show up each week. Every Church member who makes a habit of staying home, of not participating, of not contributing, of not working, of not witnessing, of not praying, is voting to close the church they attend. And it will happen sooner rather than later. If you are one of those unfortunate souls who attends a church where ‘doctrine doesn’t matter’, do yourself a favor and flee Sodom. JOHN CALVIN, the celebrated reformer, was born at Noyon, a town in Picardy, on the 10th of July 1509. Undistinguished by the splendor of family consideration, it was reserved for him to give dignity and perpetuity to a name, which had hitherto occupied an humble but respectable rank in society. His father, whose name was Gerard, a sensible and prudent man, had gained the esteem and friendship of all the neighbouring gentlemen, and particularly of the family of Montmor, a family of the first distinction in Picardy. John Calvin was brought up with the children of this family, and though his education was very expensive to Gerard, he bore it with great cheerfulness. He even wished his son to accompany them to Paris, and to pursue his studies with them under Marturin Cordier, regent of the Collége de la Marche; a man illustrious for his erudition and integrity, and as his talents were particularly adapted to the instruction of youth, he spent his life in tuition at Nevers, at Bourdeaux, at Neuf Chatel, at Lausanne, and at Geneva, where he died in the eighty-fifth year of his age, and in the same year as Calvin. THE guiding care of God in the lives of his servants may be traced even in their earliest childhood. Thus Luther, destined to become the man of the people, was the offspring of poor miners. “I am a peasant’s son,” said he; “my father, grandfather, and great-grandfather were honest peasants.” And all his life long he manifested his ability to speak convincingly to the people. Calvin, who was destined to employ his influence in the world as a theologian and thinker, enjoyed from his childhood the benefit of a learned education. 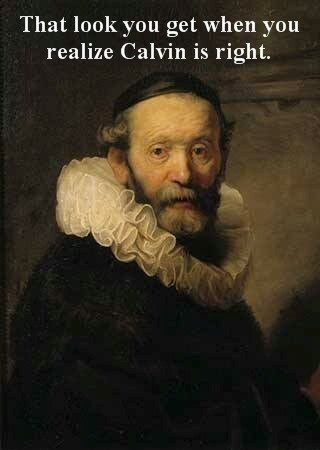 Calvin was born at Noyon in Picardy, July 10, 1509. 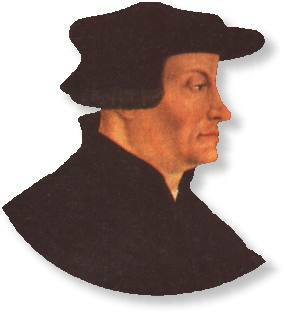 His father, Gerhard Cauvin or Calvin, was Procureur Fiscal of the lordship of Noyon, and secretary of the diocese. His grandfather Böttcher lived in a neighboring village, Le Pont l’Evêque, where Calvin had many relations, who however, out of hatred, laid aside his name. His mother was Anna Franke of Cambray. Of the outward appearance of young Calvin, destitute as we are of information, we can say little. ‘Les choses de petite durée ont coutume de devenir fanées, quand elles ont passé leur temps. *The Life and Times of John Calvin, the Great Reformer (Vol. 1, p. 21).